Directed by Nicholas Stoller. With Seth Rogen, Rose Byrne, Zac Efron, Chloë Grace Moretz. 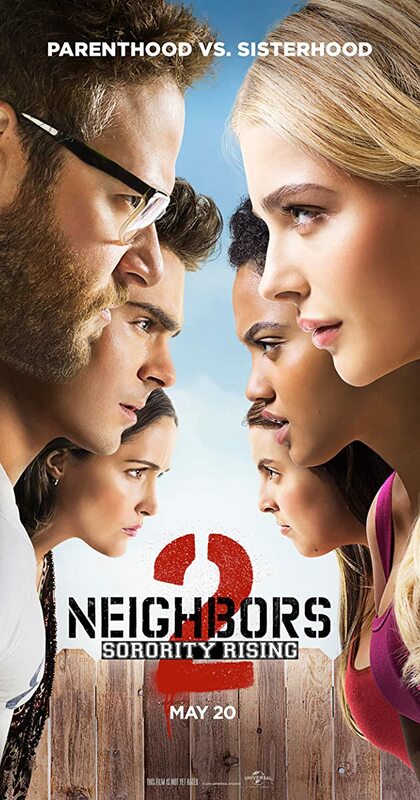 When their new next-door neighbors turn out to be a sorority even more debaucherous than the fraternity previously living there, Mac and Kelly team with their former enemy, Teddy, to bring the girls down.